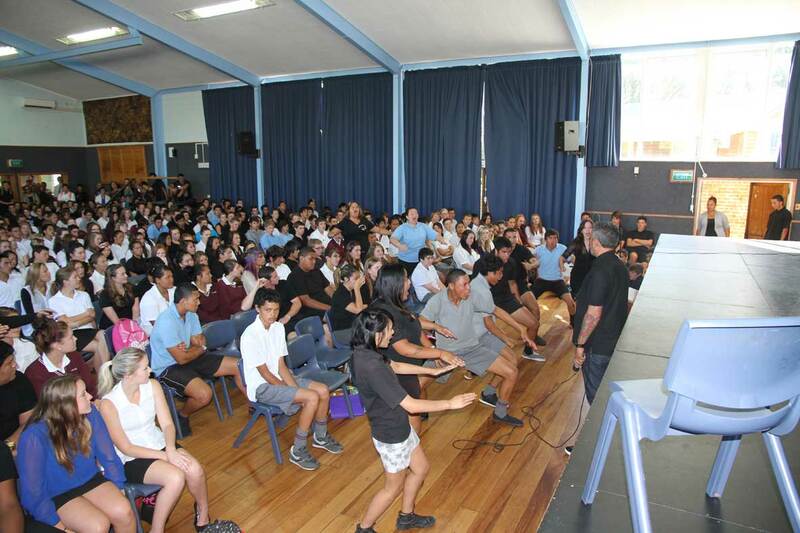 Key to Life Charitable Trust continue to visit communities and schools around the country to get people talking to prevent suicide. 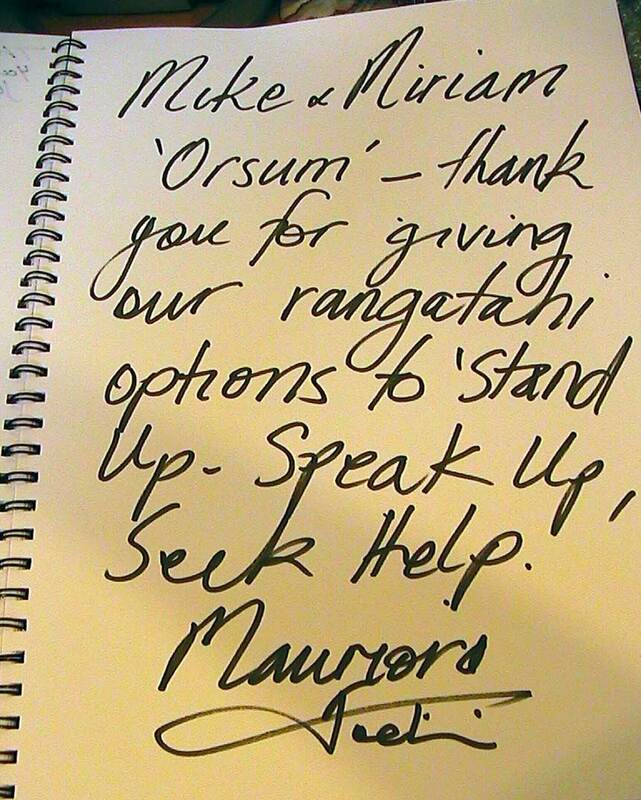 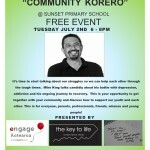 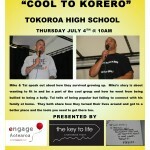 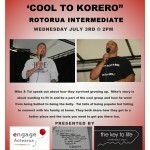 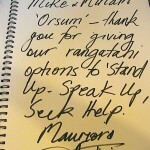 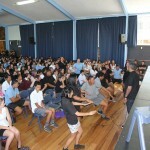 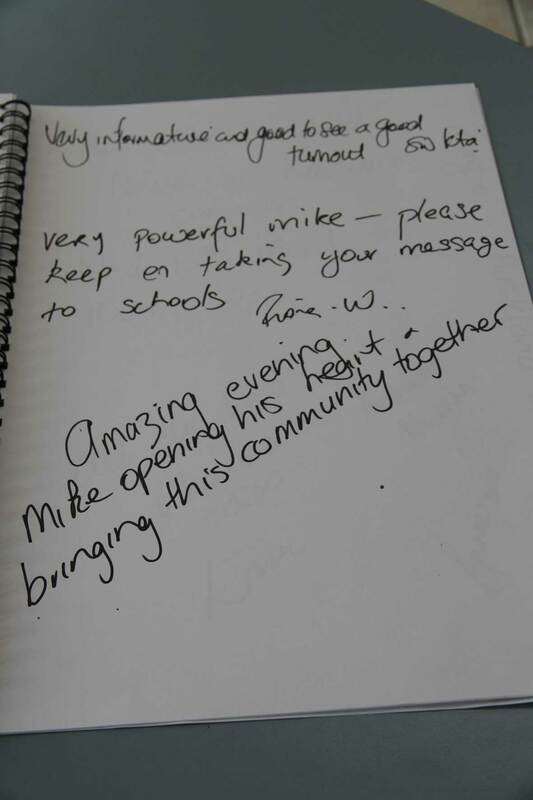 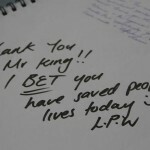 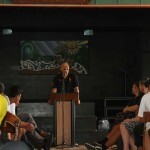 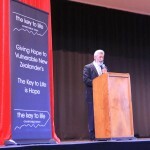 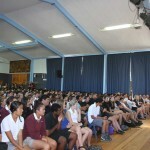 Please contact The Key to Life Charitable Trust to inquire about organising a Korero in your town or school. 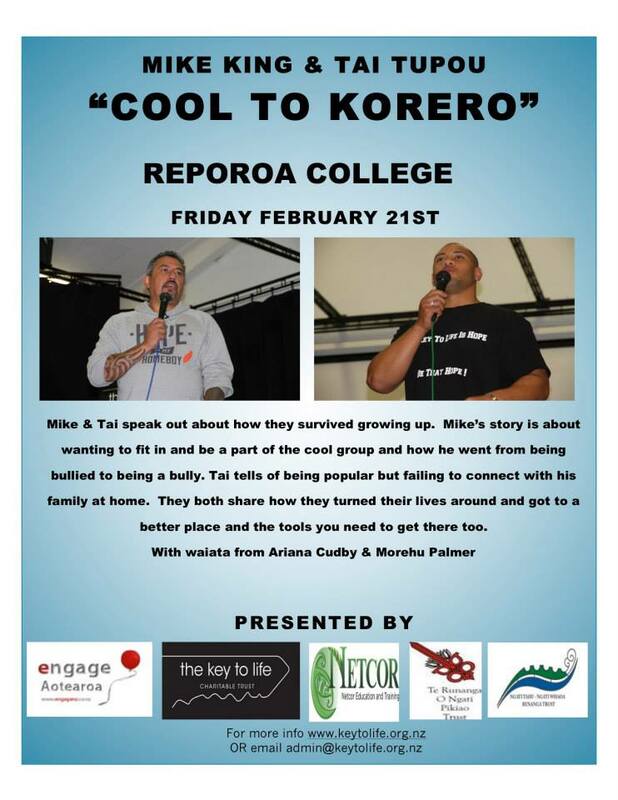 It all started in the Far North in early 2013. 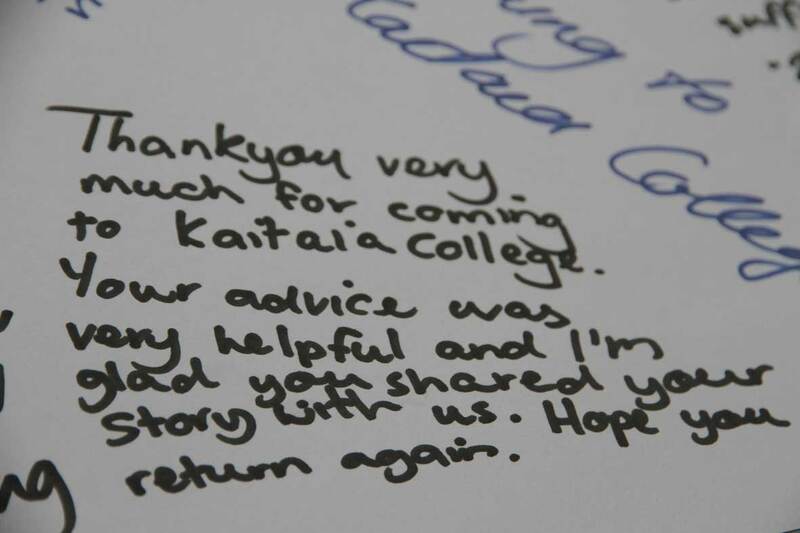 Our service director was visiting her home town of Kaitaia for the summer, after an increase in youth suicides in the area. 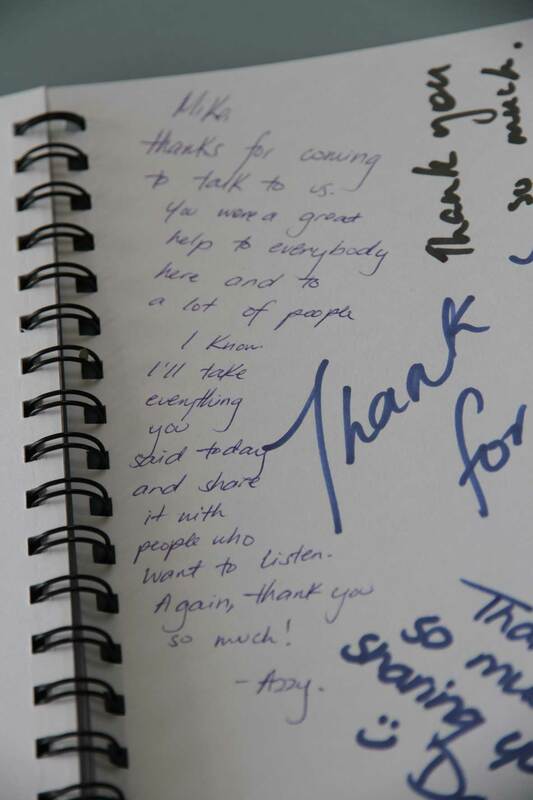 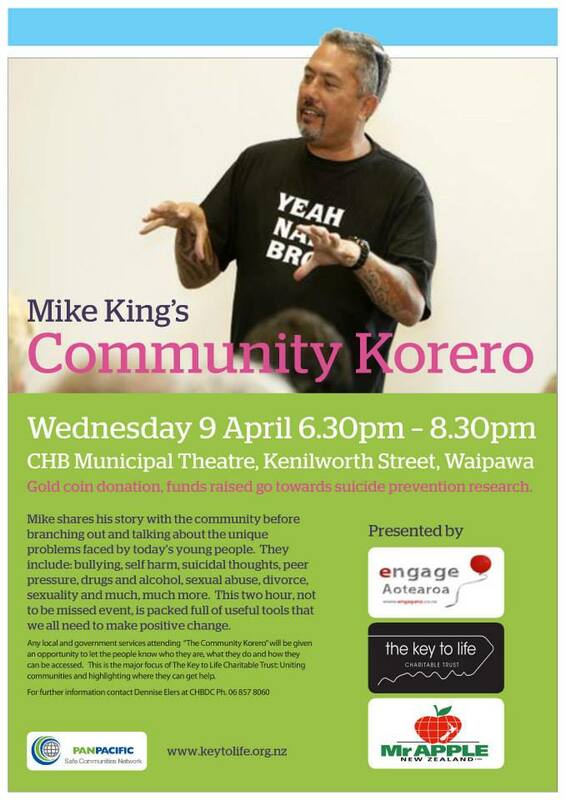 Wanting to do something to help, she contacted Mike King of Key to Life Charitable Trust and asked him to team up to empower people to prevent suicide in their community and direct support to those who need it. 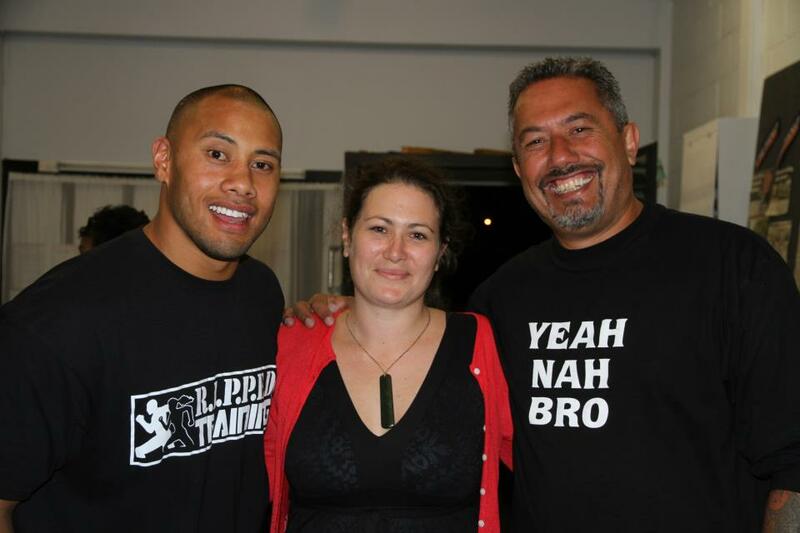 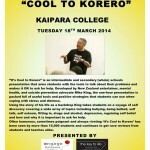 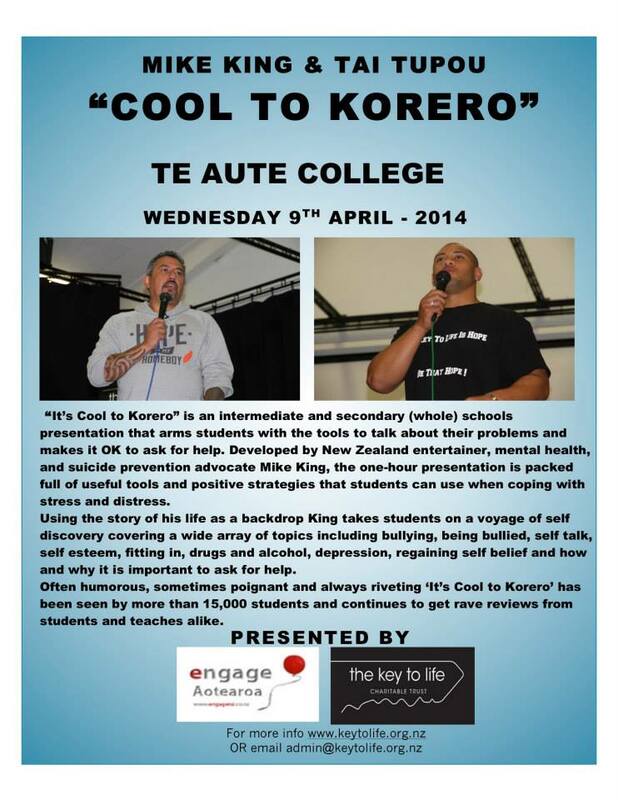 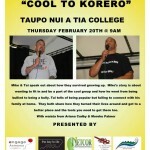 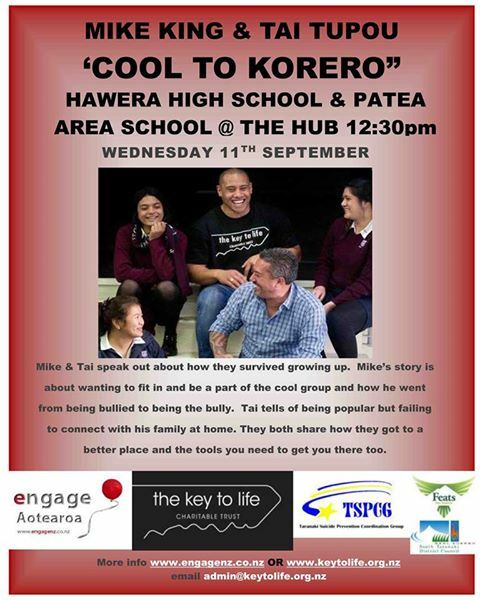 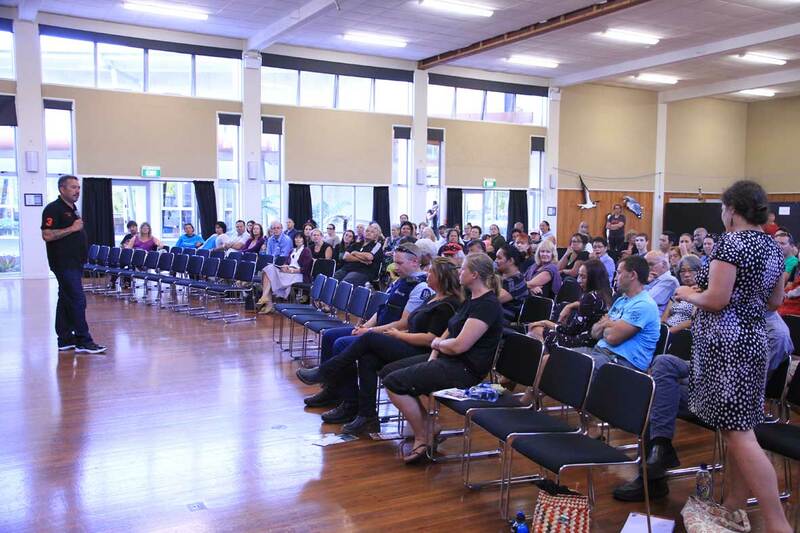 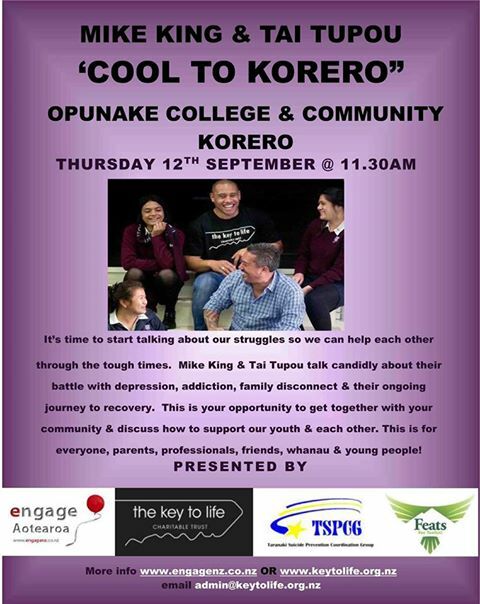 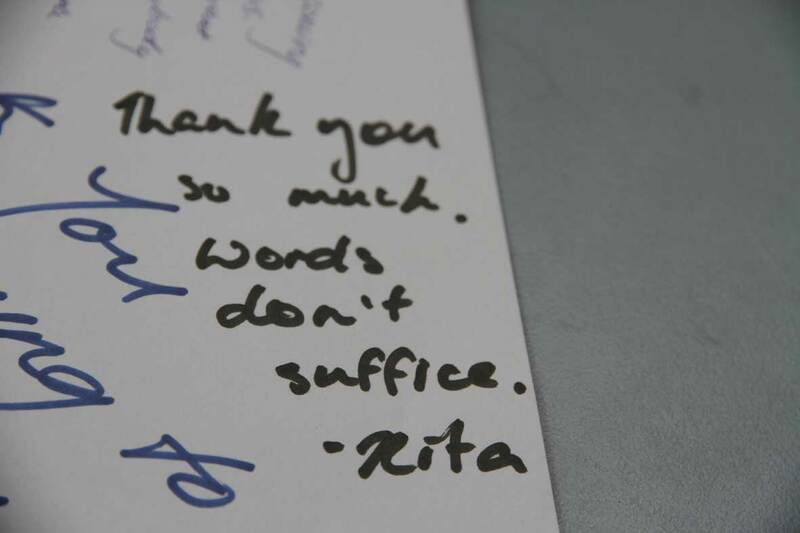 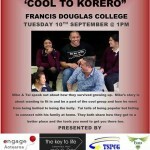 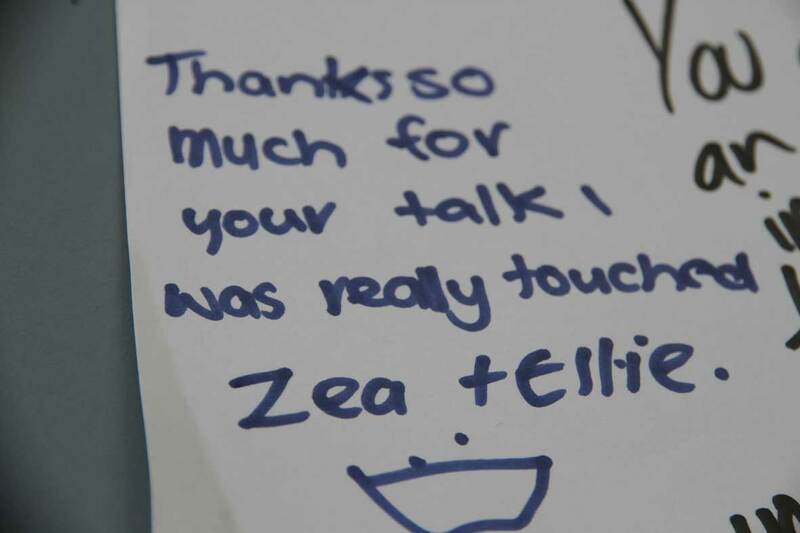 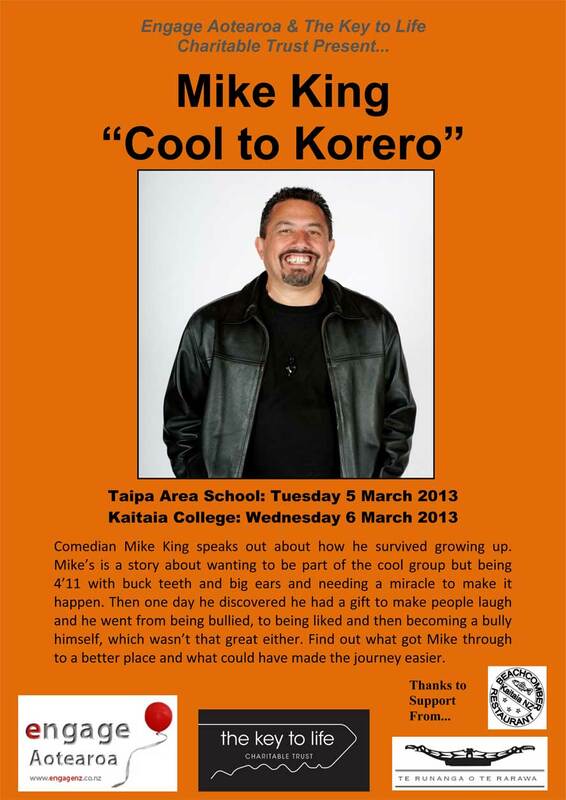 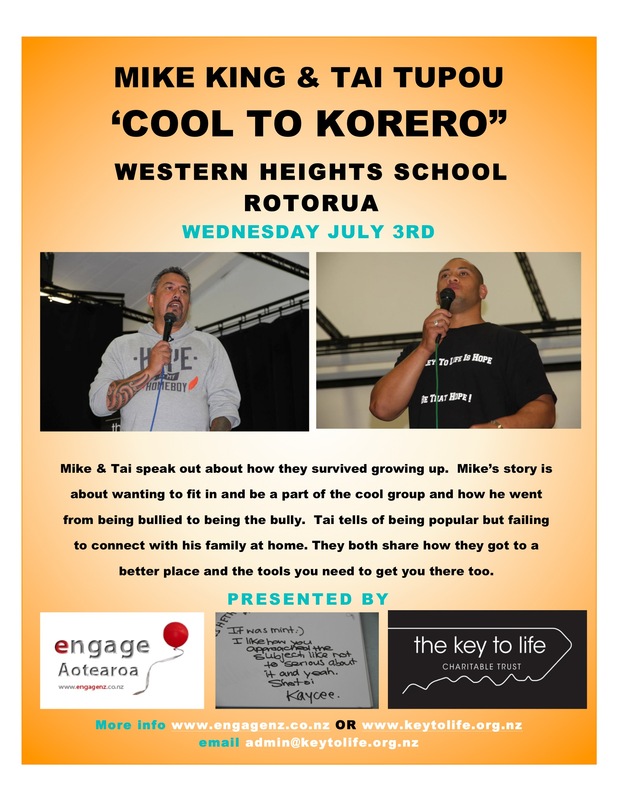 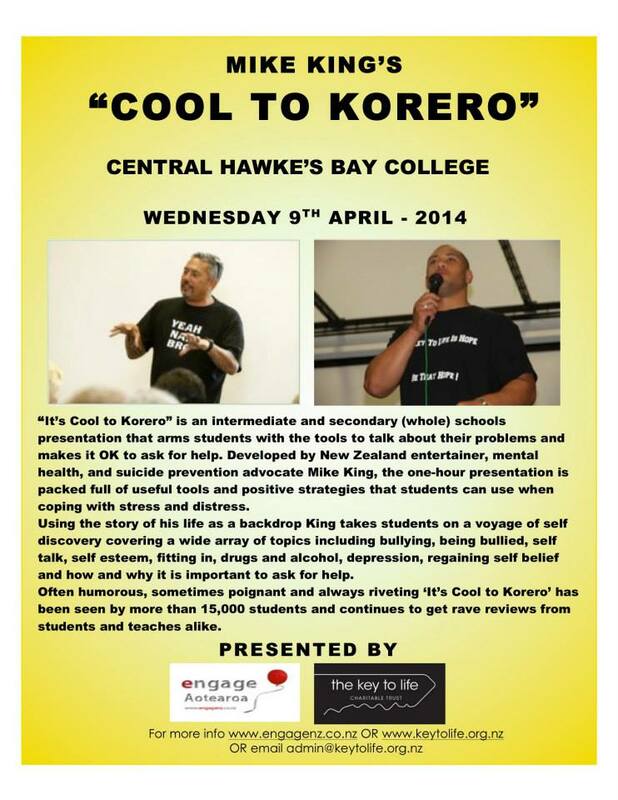 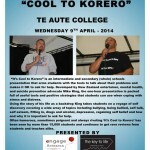 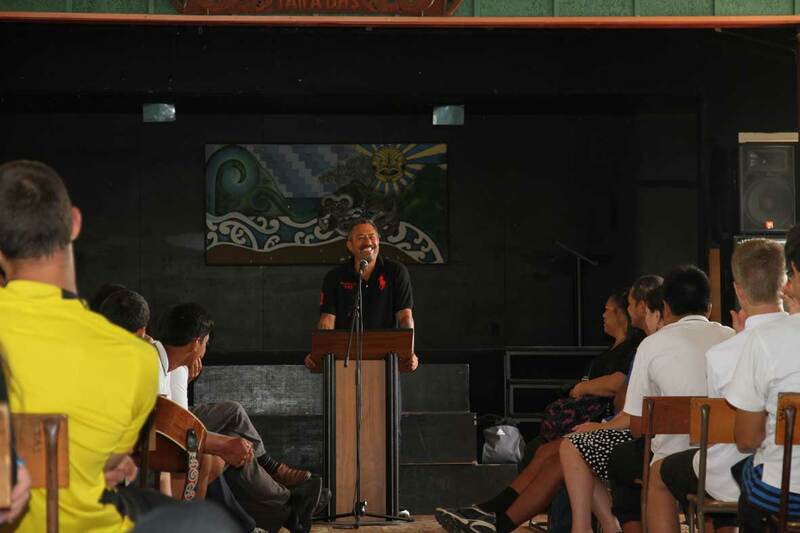 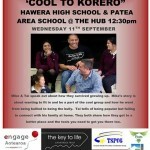 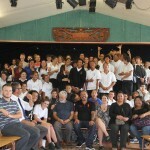 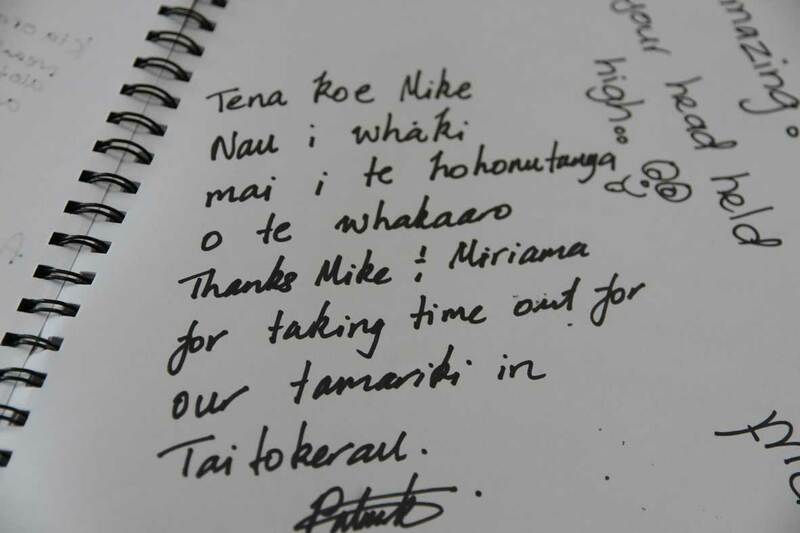 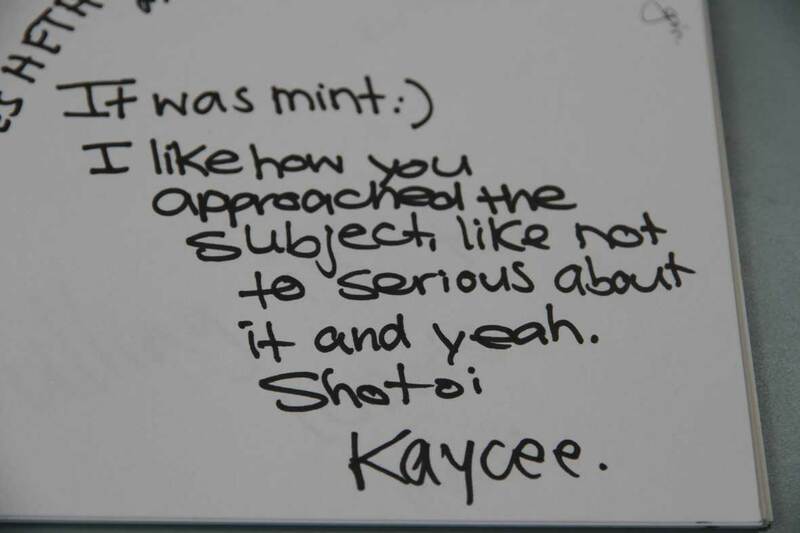 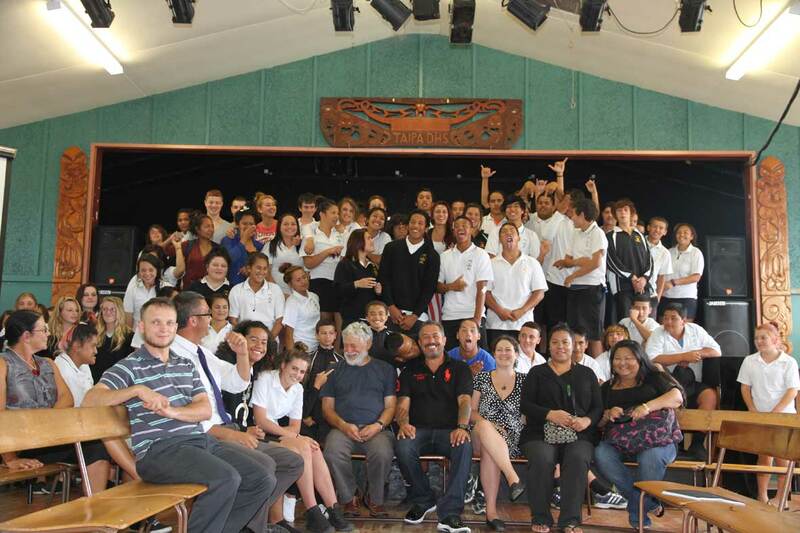 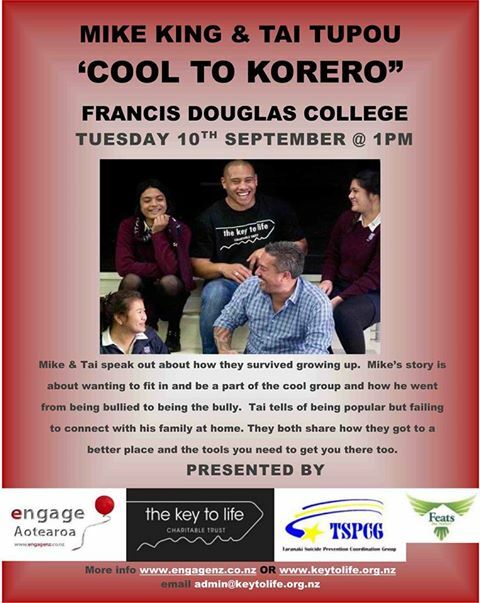 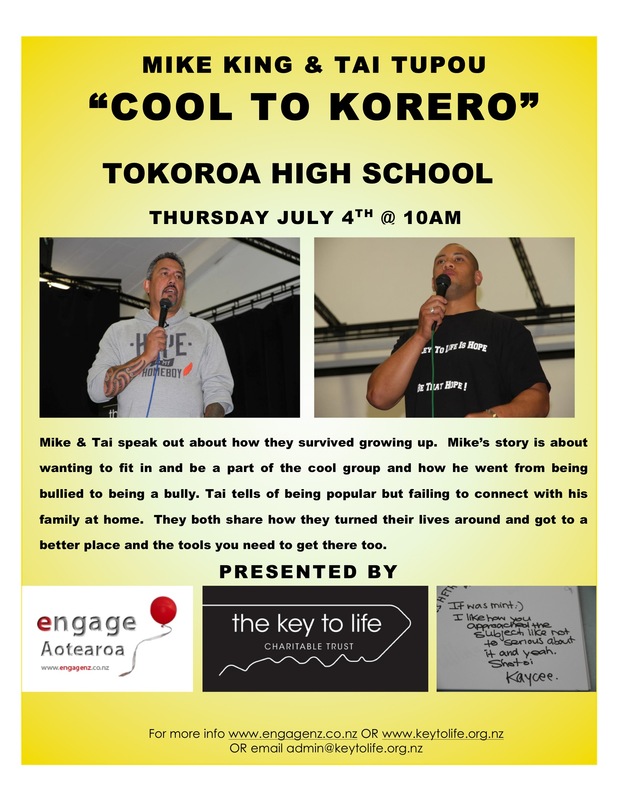 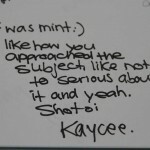 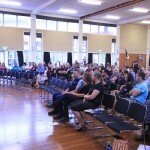 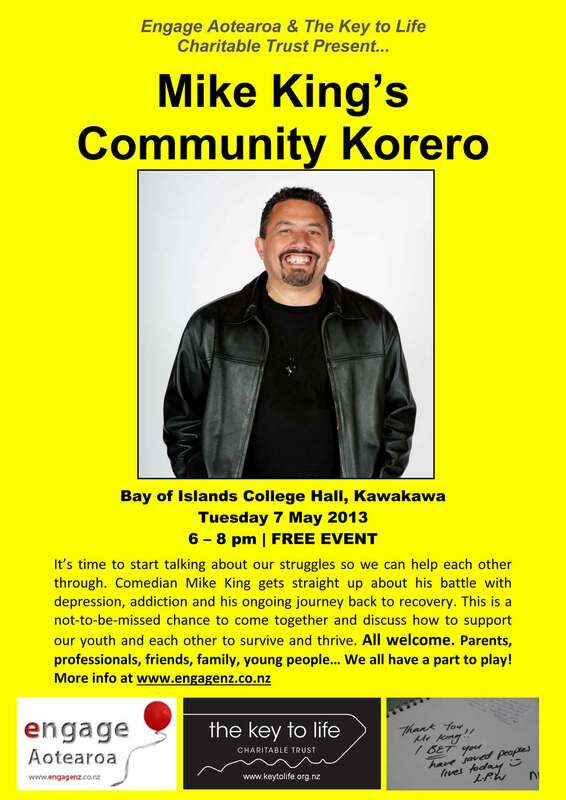 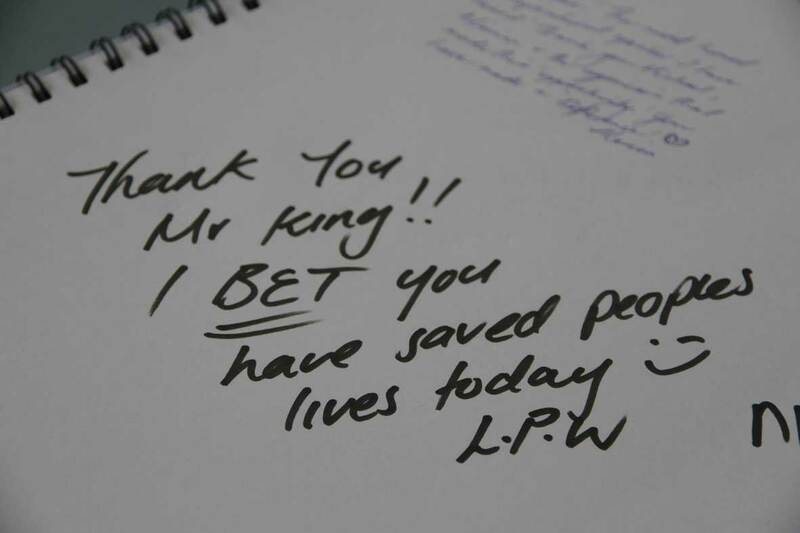 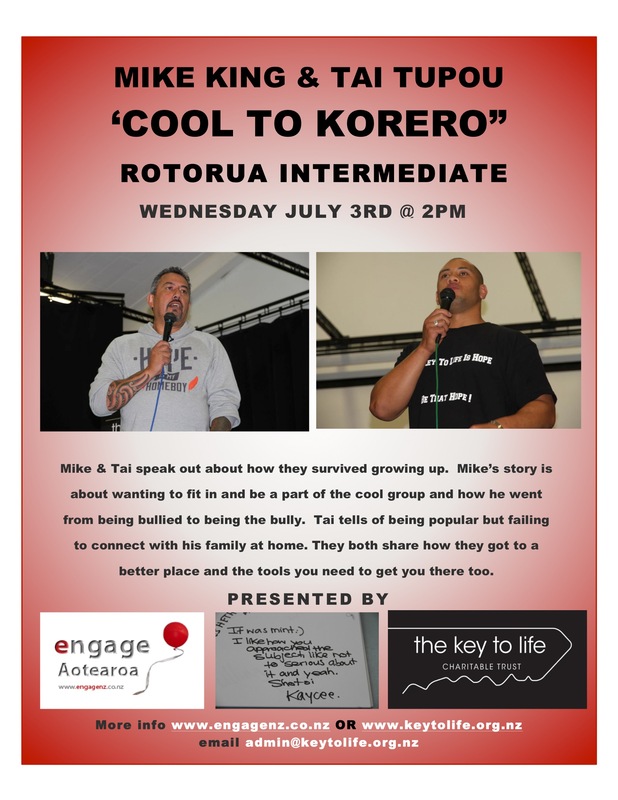 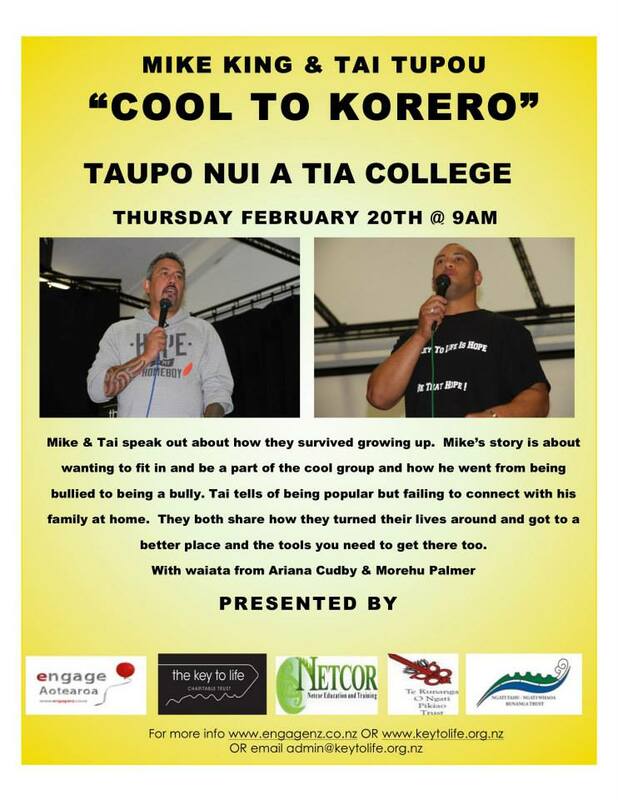 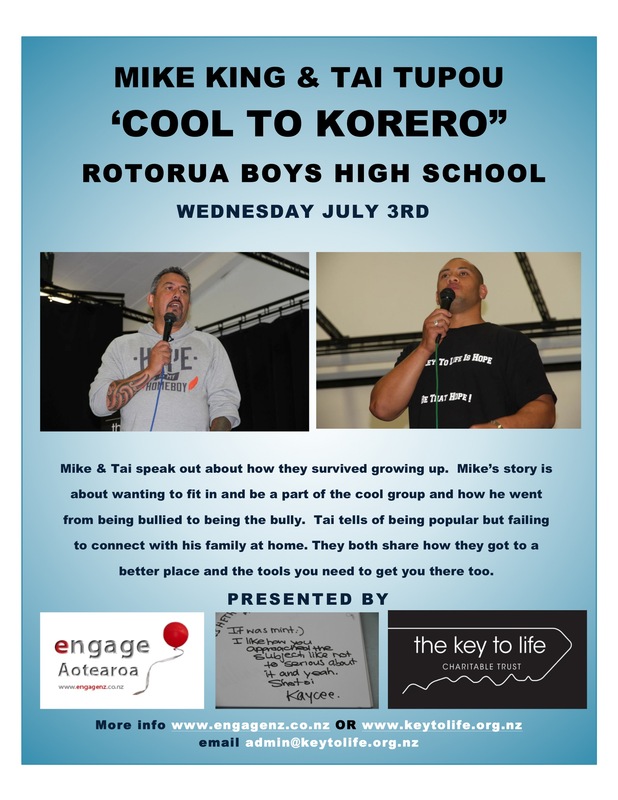 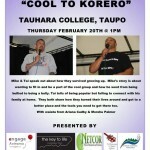 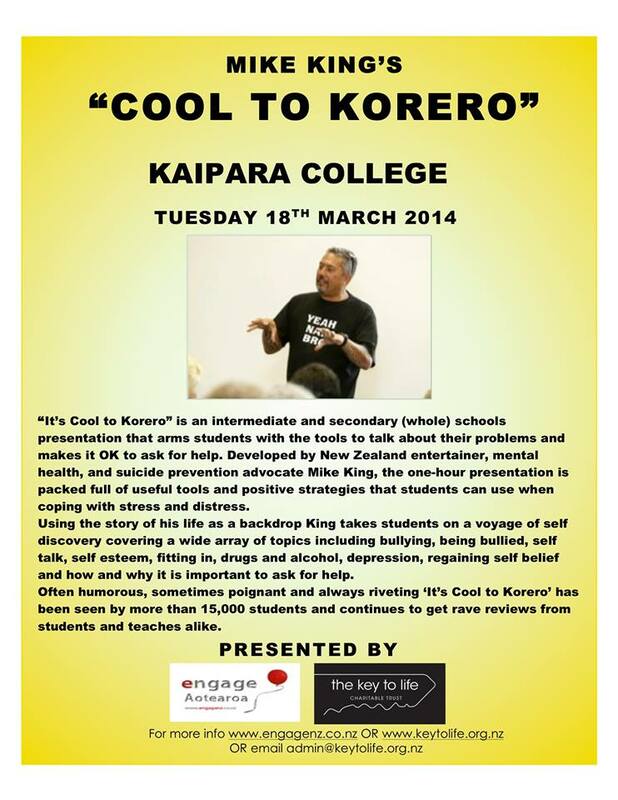 In March 2013, with support from Sky Light and the Mental Health Commissioner, we visited Taipa Area School and Kaitaia College with the first Cool to Korero presentations, followed by the first Community Korero at Te Ahu Centre in Kaitaia. 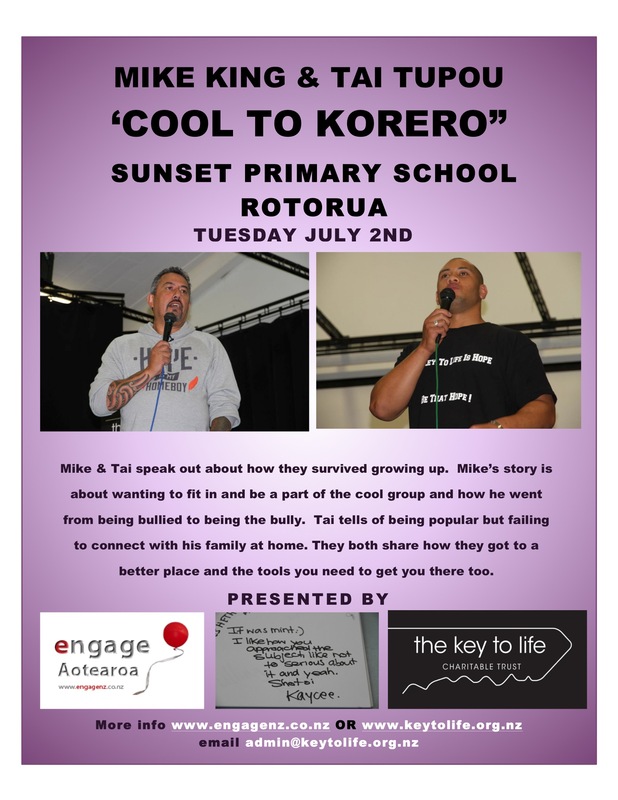 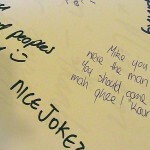 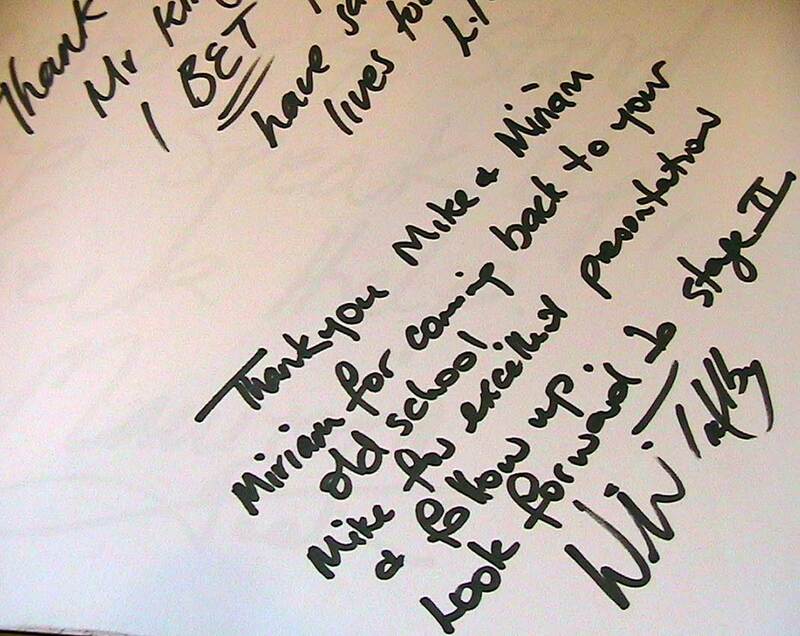 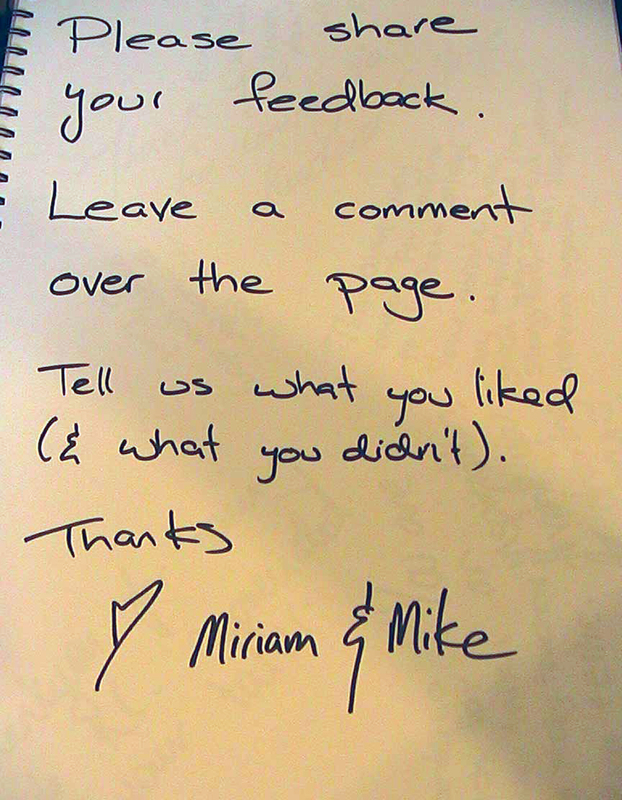 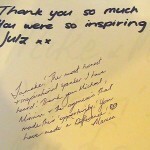 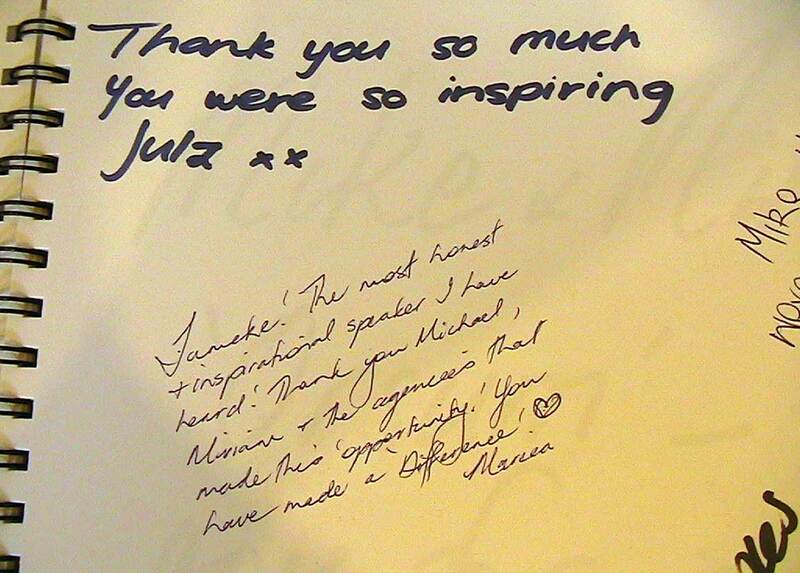 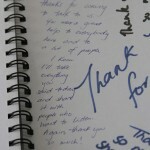 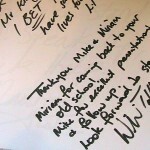 Mike shared his story, we fielded questions, shared printed resources and spent time with students afterwards. 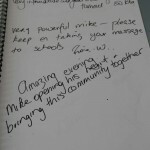 Schools and community leaders started getting in touch to book talks in their towns and at their schools. 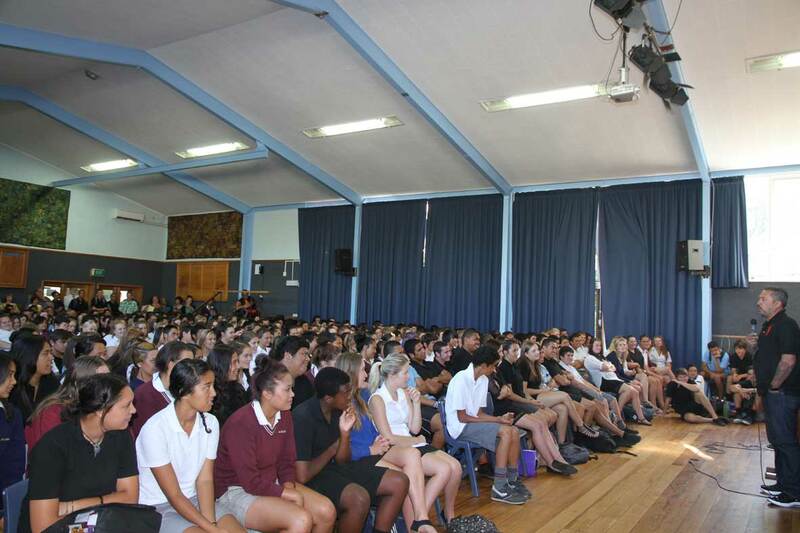 By March the following year, over 15 000 students across NZ had taken part in the school talks alone and Key to Life didn’t stop there. 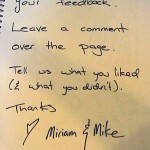 They’ve given the project a life of its own. 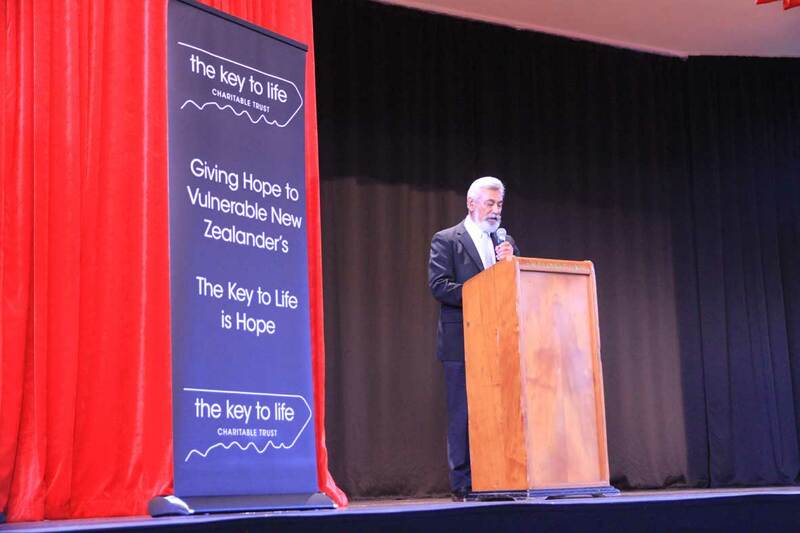 We’ve kept some of the original information up for posterity but bookings and inquiries should now go directly to Key to Life Charitable Trust. 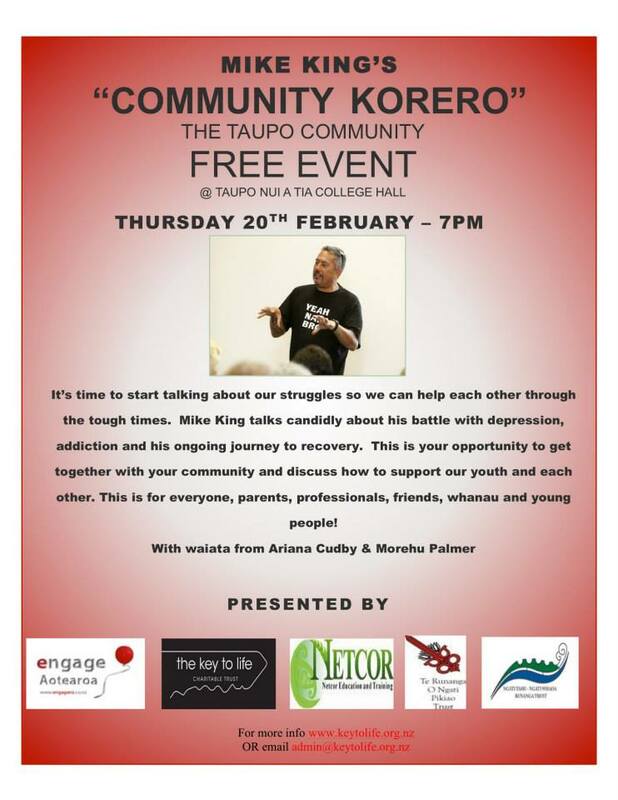 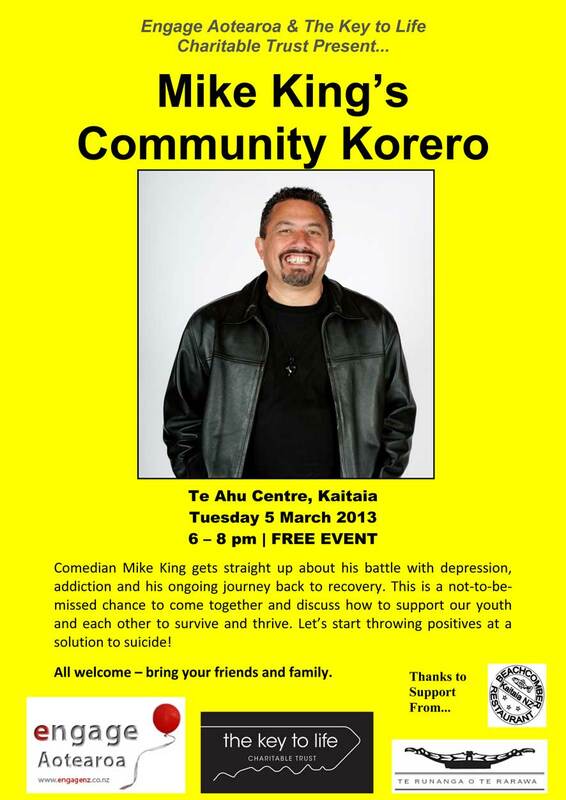 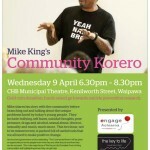 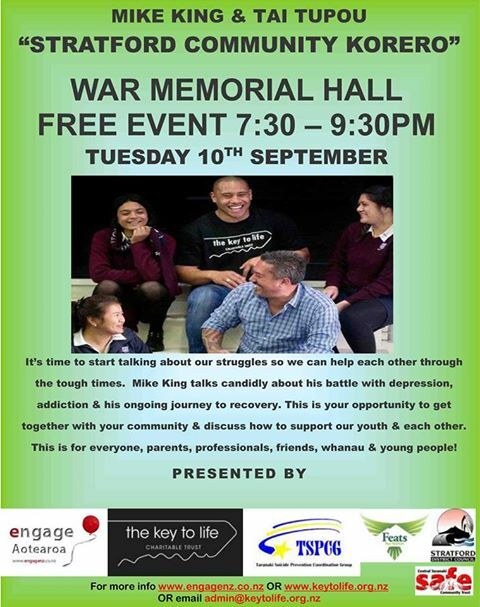 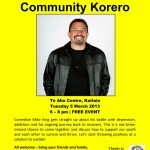 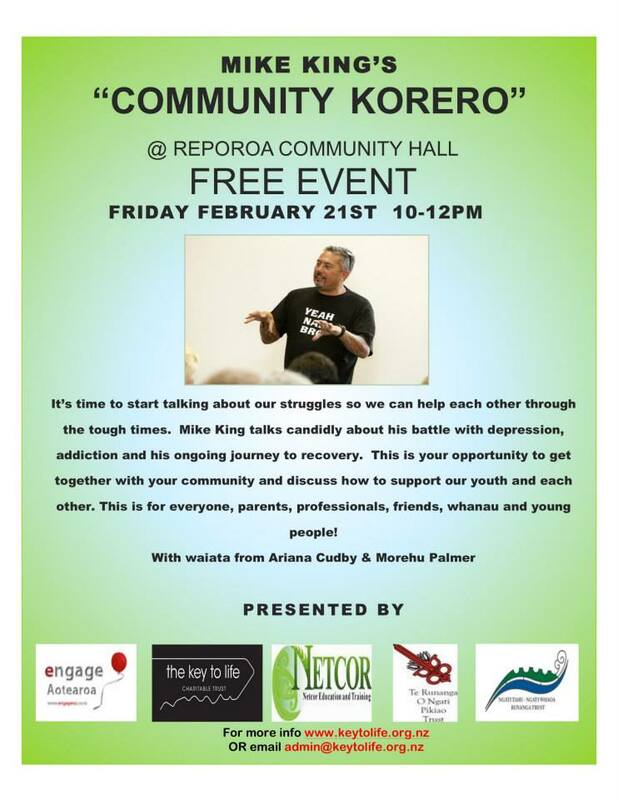 In the Community Korero, comedian Mike King gets straight up about his battle with depression, addiction and his ongoing journey back to recovery, including the mistakes he made along the way. 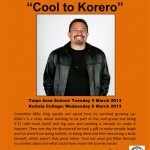 Hear about the things he learnt from the hard times and how all those mistakes were blessings in disguise. 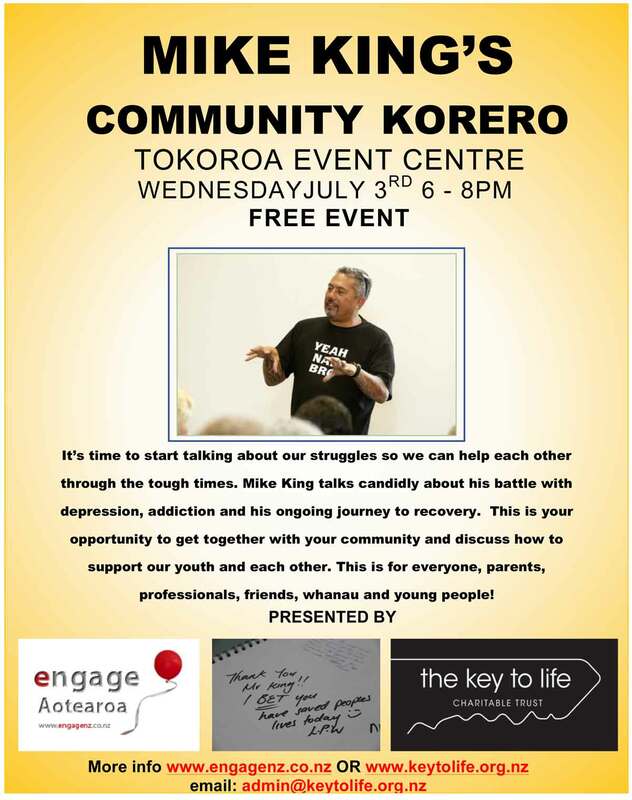 This is a not-to-be-missed chance for communities to come together and explore how to support our youth and each other to survive and thrive. 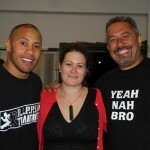 Ask the questions you have always wanted to ask – Mike is joined by Tai Tupou for a Q & A session at the end of the talk. Connect with other community members who care. 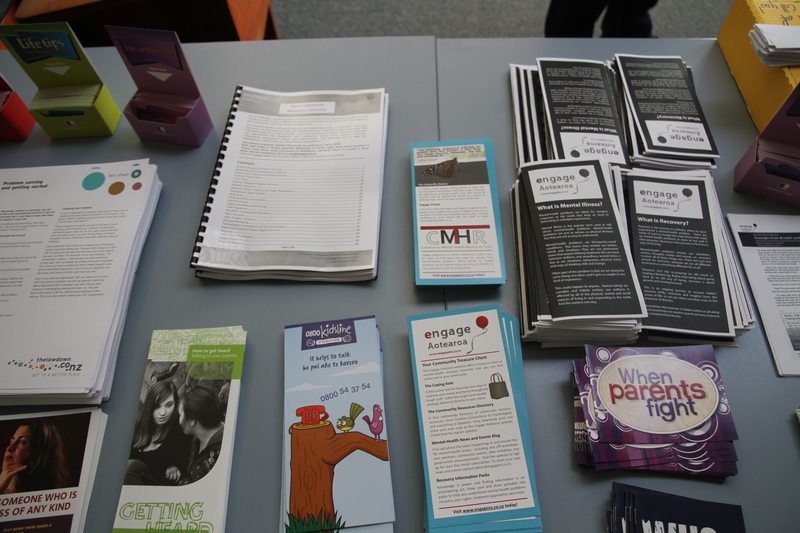 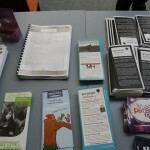 Plus heaps of useful resources to take away for later. 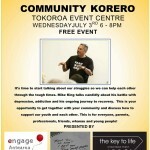 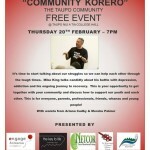 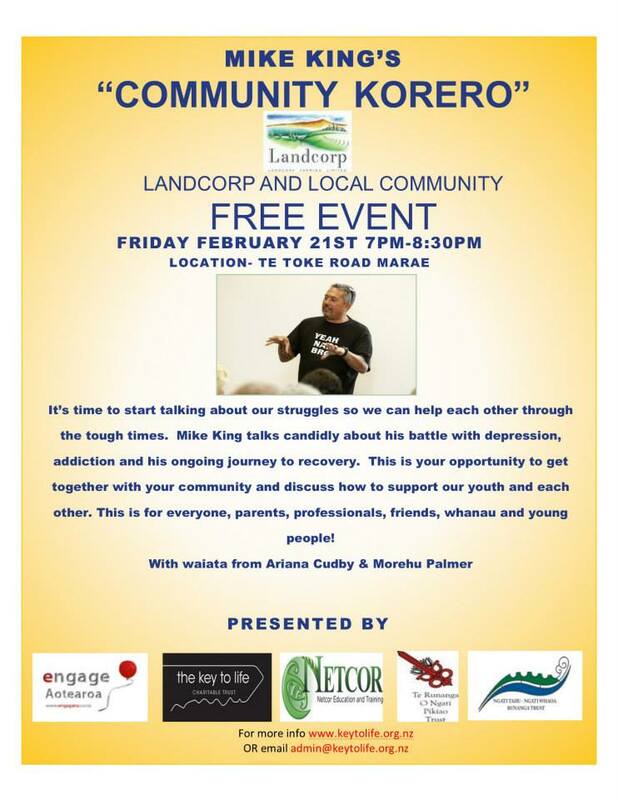 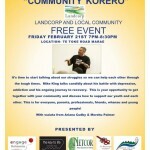 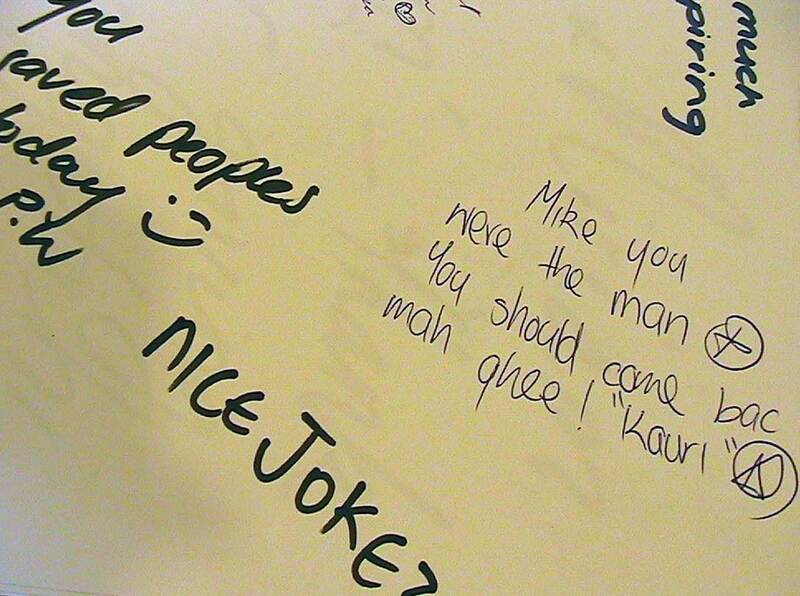 Community Korero is open to all members of the community and is suitable for early teens to older adults. 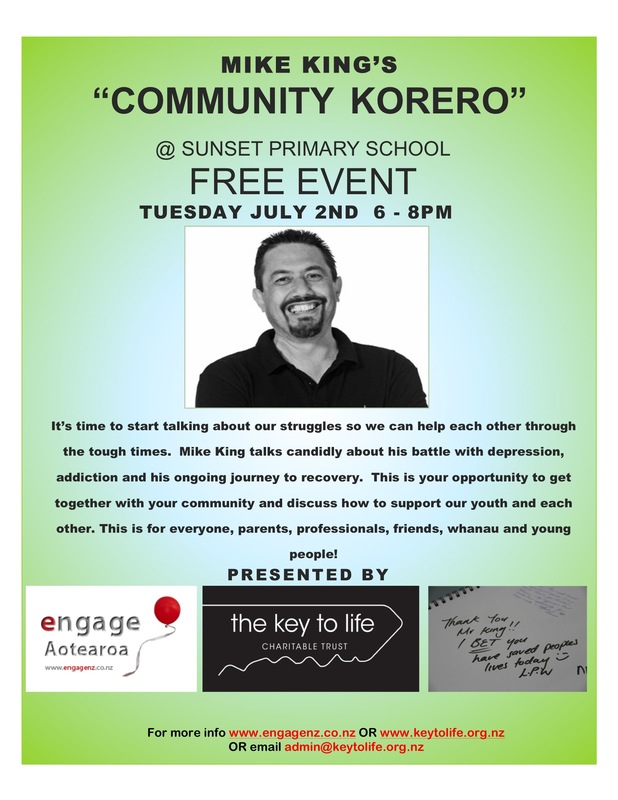 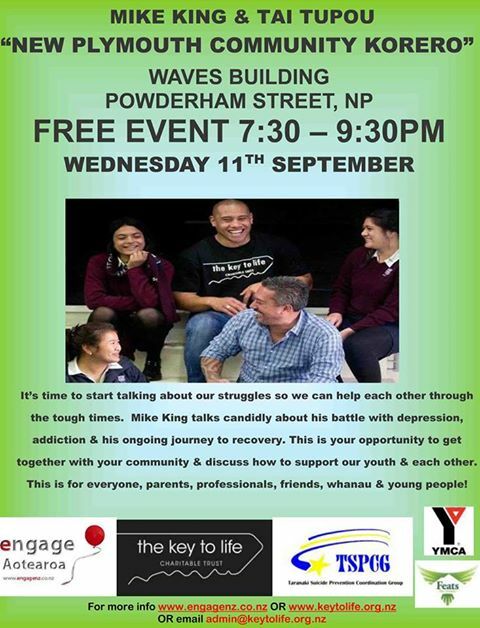 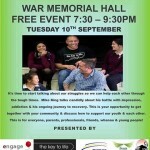 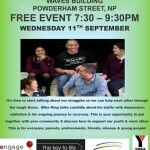 We especially encourage mental-health workers, teachers, parents and town-planners to attend this session.